Harassing postal customers by mail is a serious offense that should be reported to the proper authorities. The U.S. Postal Inspection office handles reviews of many mail-based offenses, including fraud and theft. Depending on the nature of the harassing mail you receive, the USPS Inspector General's office may also offer assistance. Also contact your local postmaster about the harassment, and always let a local law enforcement agency know you are experiencing a problem. Report harassing or threatening mail via the U.S. Postal Inspection Office website or by calling 1-800-ASK-USPS. Also contact your local post office and a law enforcement agency immediately. Threatening a person through the mail is a federal crime. The postal inspection service investigates all claims involving extortion, blackmail, kidnapping, physical injury or injury to property and reputation made through the United States Postal Service. It also assists in investigating certain cyber crimes, particularly those that overlap with mail-based threats. To begin the complaint process, visit the U.S. Postal Inspection Service website. You can also file a complaint via phone by calling 1-800-ASK-USPS. Save every harassing letter you receive. If you threw away a piece of mail before you recognized a pattern, write down everything you remember about it. This establishes a record as instances of harassment may begin to blur together over time. Be prepared to answer questions about any individuals who may be responsible for the harassment when filing your complaint. Contact your local post office about the deliveries. Let the postmaster know if you filed a complaint with the postal inspection service and describe the mail pieces. If your local post office is made aware, carriers or clerks may notice who is mailing the letters and be able to assist in stopping the harassment early. Harassing mail can be an indicator of a more serious crime to come. Always contact your local law enforcement agency about a potential crime. Let officers know if you filed a complaint with the postal service and provide officers with copies of your letters. If the letters include a physical threat against you, law enforcement can determine if increased patrols are necessary near your home or offer advice for your personal protection. 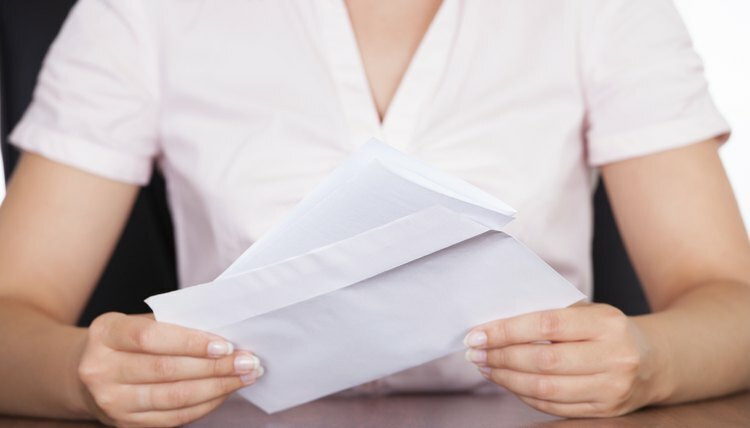 When mail you receive is more of an annoyance than a threat, such as junk mail or unsolicited adult publications, the government provides alternate steps for settling your grievance. The Federal Trade Commission recommends the use of the Direct Marketing Association's consumer website to reduce the amount of junk mail you receive. For a small processing fee, you can choose the mail you do and do not want to receive for the next 10 years. Also, fill out postal service Form 1500 to stop receiving sexually oriented advertising at your home. The form contains complete instructions and allows you to prohibit mailings from a single company or to block all sexually oriented advertising sent to you or any minor children at your home. Return the form to your local post office with the sexually oriented mailings you have received. Adams-Mott, Ashley. "How to Report Harassing Mail to the Postmaster General." , https://legalbeagle.com/5909952-report-harassing-mail-postmaster-general.html. 12 December 2018.